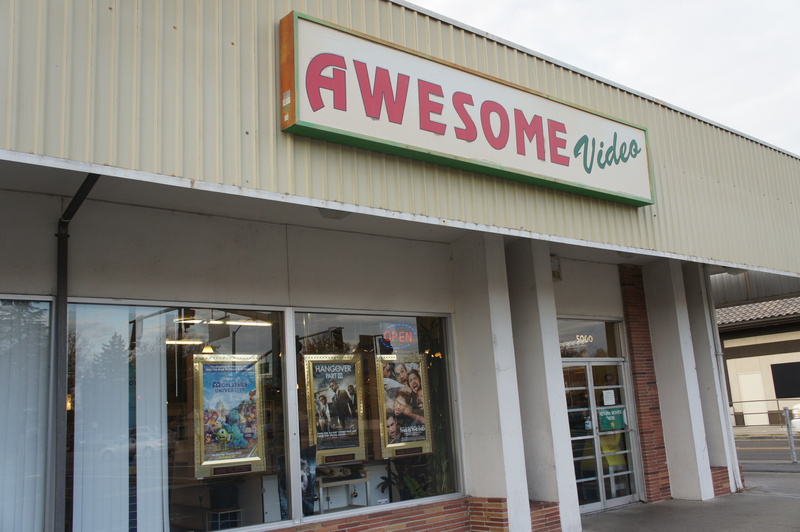 Locally-owned Awesome Video is… awesome | AYAH! Before Netflix, before Redbox, Hulu, Apple TV, DVR, Tivo, tablet/online (ect. ), remember video stores? Remember when a trip to one was a treat? When your parents let you pick one video, MAYBE two if you were lucky. 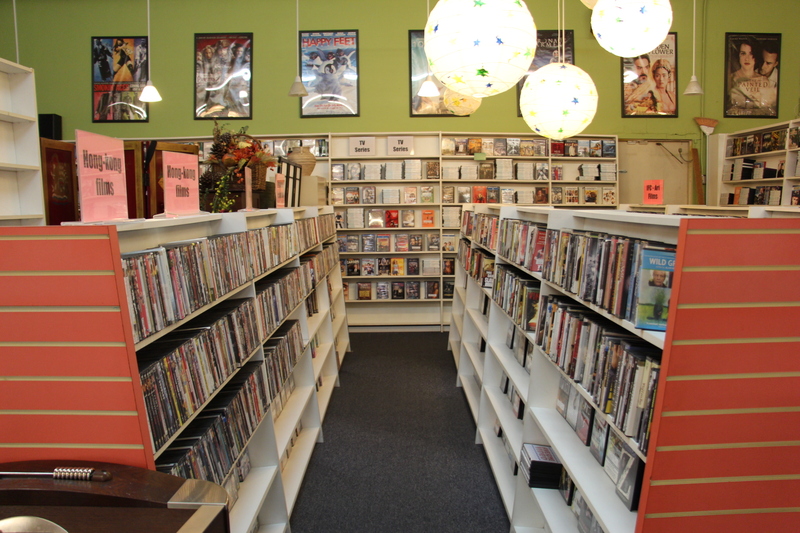 It’s no secret — video stores are dying. Blockbuster announced that it’s closing its remaining U.S. stores by January 2014. The video rental company that rose to giant-status in the pre-digital age has finally fallen. But it’s not over yet. In fact, the video store culture is alive and well at a tiny corner along Freeport Blvd. in Sacramento. It’s called Awesome Video. It’s a place where you’re immediately greeted with a friendly ‘hello’ and smile. If you’re a regular, there’s a good chance they know your name and you know theirs. Walk in and it’s like stepping back in time to 2003. It’s place that invites you to stay awhile. There’s even a fooz-ball table if you’re really bent on hanging out. 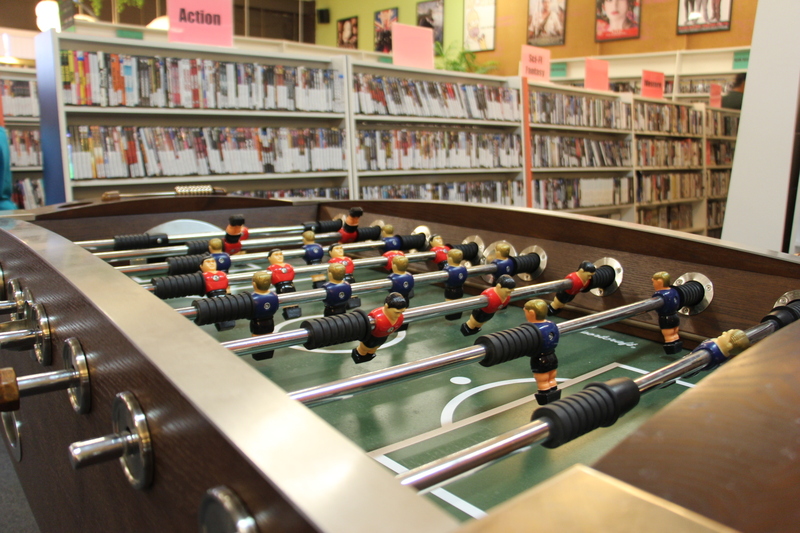 Fooz-ball table aside, what’s so awesome about Awesome Video? You feel welcome. Immediately. It’s a comforting invitation to peruse the rows, the stacks, to choose at your leisure. At the center of it all, is owner Maithu Bui. She came to the U.S. from Vietnam, 21 years ago. She began working at Awesome Video 19 years ago, when a family friend who owned the store recruited her for help. What started as a short-time gig turned into a passion and a career. 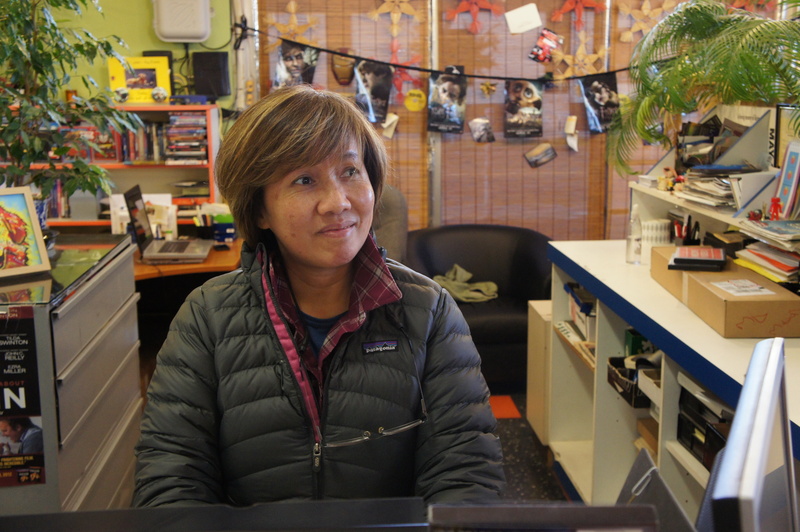 Bui ended up taking over as owner of Awesome Video 9 years ago, and she hasn’t looked back. Her fascination with films started in her native Saigon, where foreign-made films were banned by the communist government. But that didn’t stop people from watching smuggled copies of “Rambo” and “A Nightmare on Elm Street” under the cover of closed blinds and locked doors. The first American movie Bui ever watched was “The Lion King”. Her favorite of all-time is “Shawshank Redemption”. What can I say? The lady has good taste. Watching these movies in secret, painted a picture of the American promised land. So, Bui immigrated to America with these hopes and dreams playing like a movie in her head. And as luck would have it, the only people she knew in the U.S. owned a video store. Bui learned to sharpen her English skills by watching movies. She learned how to speak English by chopping it up with customers. And so began a special connection with movies. They were a welcome mat to Bui’s new home in America. And she’s been trying to impart this feeling to everyone who walks through the door, ever since. 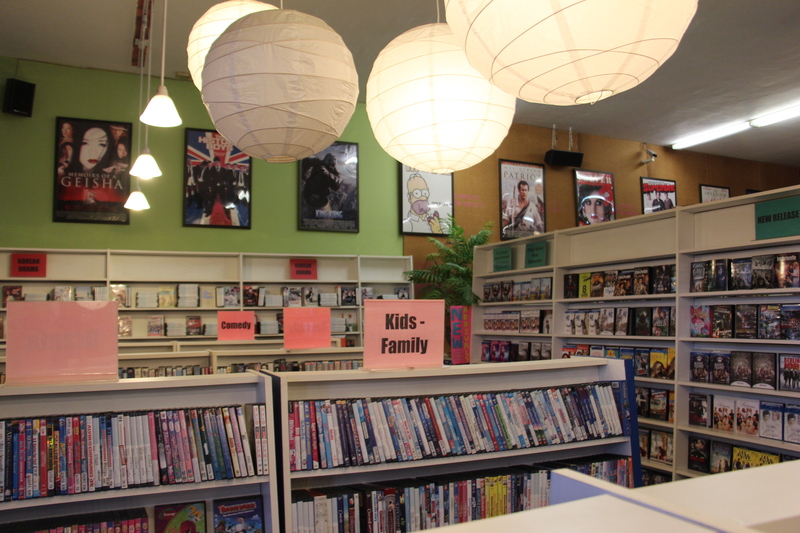 When you do walk in, you might think Awesome Video looks a lot like any other video store you’ve ever seen. But look closely, and you’ll find this place is extraordinary. 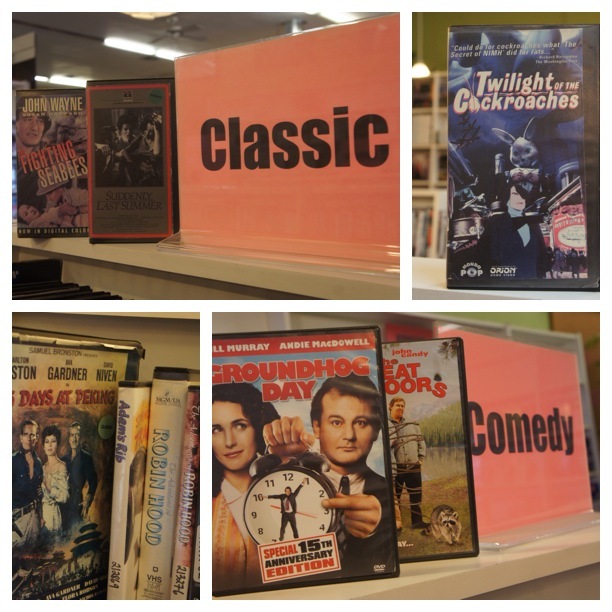 Yes, there are the big-name Hollywood new releases in stock. 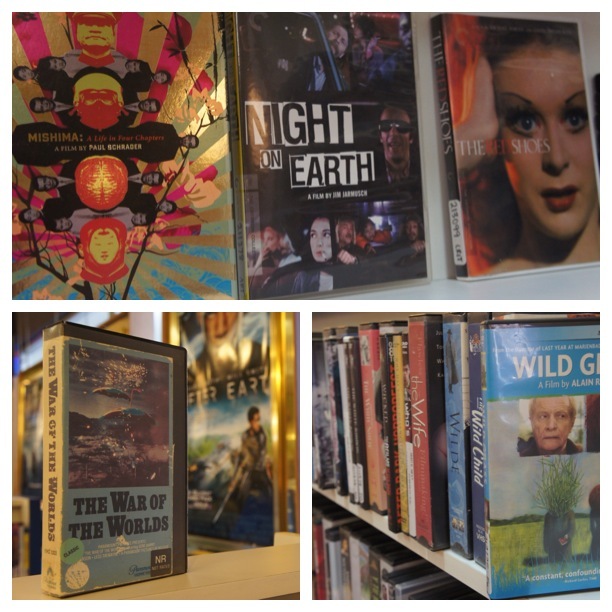 But there’s also a section for Korean-dramas, Hong Kong films, independent art films, John Wayne westerns and Cary Grant classics on VHS, a killer documentary section, features by local filmmakers, crazy, obscure, what?! no way! collector’s editions and more! This does not scream: big-box store. This is a loving, hand-picked collection of movies over a 20+ year period. It’s like you’re browsing through Bui’s personal home library. It just so happens that you’re allowed to borrow from her collection for a little while. 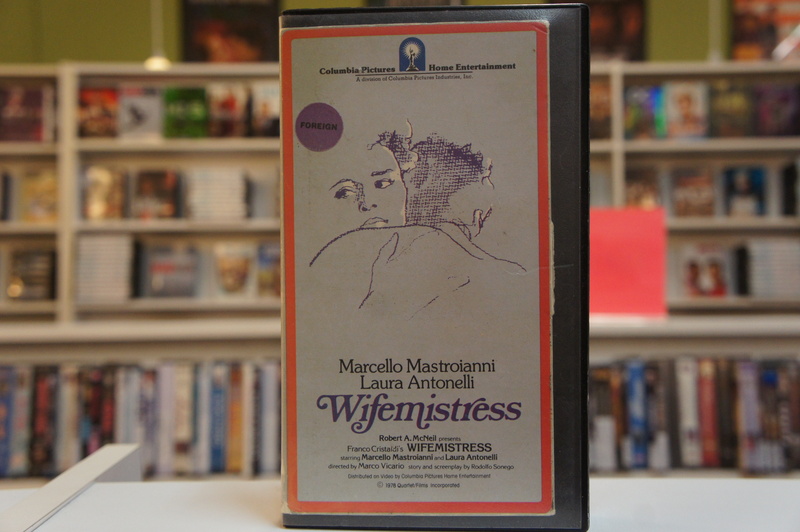 There’s a reason why she hasn’t gotten rid of the French foreign film “Wifemistress”. Have you heard of it? Me neither. Apparently, it’s nearly impossible to find a hard copy. And it probably only gets rented a couple of times a year. But she can’t let go of it. There’s something to be admired about that. Awesome Video is a treasure trove of discoveries, a “wow” moment waiting to happen. So, stop and smell the roses once in a while. Take a trip to your local video store. They may seem obsolete. But when you absolutely need to watch the campy Hong Kong sci-fi, “Twilight of the Cockroaches”, guess who’s going to have it? Yup. Awesome Video. Too bad there aren’t more places like it. Too bad there’s going to be an entire generation of kids who won’t understand how special video stores are. Going to one is almost like a journey home in itself. Think of home. It’s a place of safety, peace and imperfection. Awesome Video greets you with that warm sense of familiarity. That’s the secret. That’s what powers the pulse of this small mom & pop shop. So, all those regulars? They come back for a taste of home, right before they get to their REAL home. Because, what is your ultimate destination after the video store? HOME.